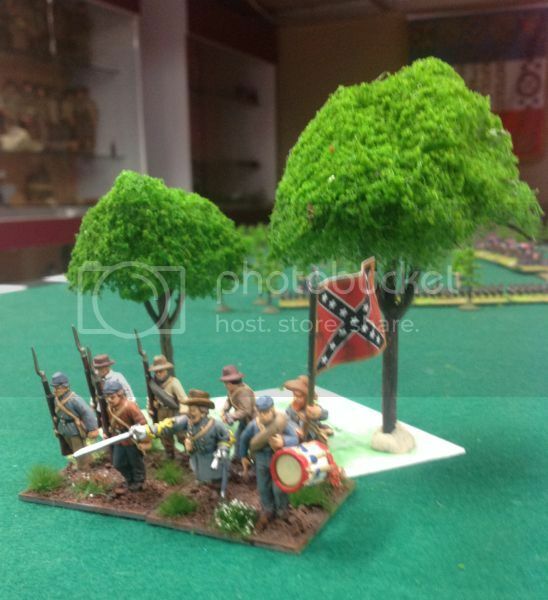 Just preparing to set up a Brother Against Brother in 28mm scale skirmish (something different to 6mm Longstreet ) and just wondering what height others make/buy trees for this scale for a good look (in scale would be huge!)? Last edited by Captain Darling on Mon Jul 21, 2014 7:54 am, edited 1 time in total. I have been buying trees from ebay and they do the job nicely. I have only just returned home after being away for the weekend, so if I remember I will post some photos to show you the sized. Failing that, I can post links to what I purchased on ebay to help out. Thanks if you can let me know the size you use it would be great and a couple of pictures would be very helpful. 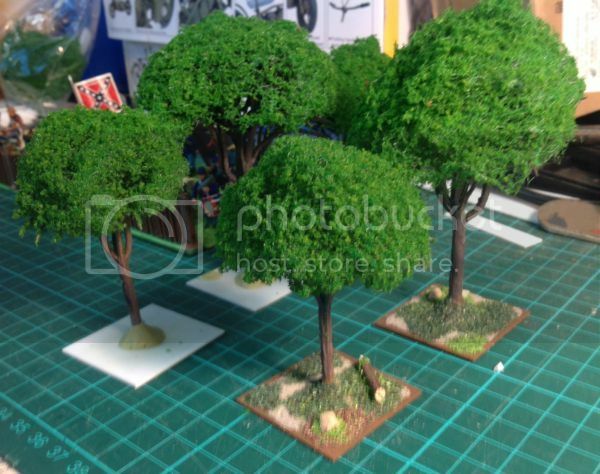 I reckon I am taking advantage of the same slave labour in China As I have about 350 39mm trees which suit the 6mm figures perfectly and these small ones are super cheap! Thanks for the reply, 75mm eh well I'll use that as a starting point and see how they look! I haven't forgotten about posting some photos... just stuck in five week work commitments without a day off. Will post as soon as I get a chance to do something for myself. 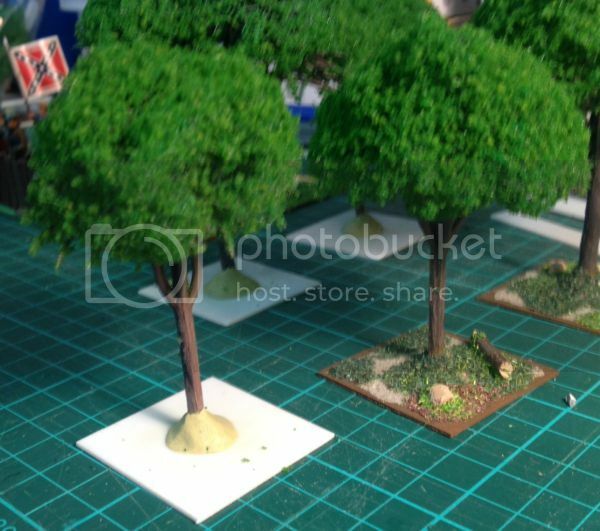 Going with Fanai's guide of 7.5cm for the princely sum of AUD$4.64 (including shipping) I got from EBay 3 x 8cm and 3 x 10cm trees from China...look about the right height just need to 'tease' the canopies a bit...what do you guys think? They do look the bizz. How are you going to base them? They will do nicely mate. 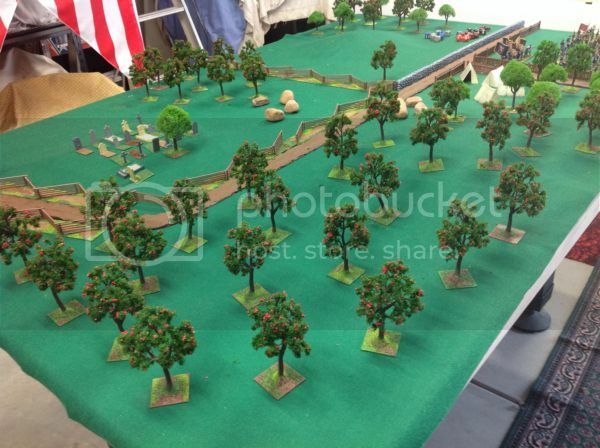 Thanks for the feedback, greg I'm still pondering how to base my six new 75cent trees, I'll post up pictures once I've got it sorted. 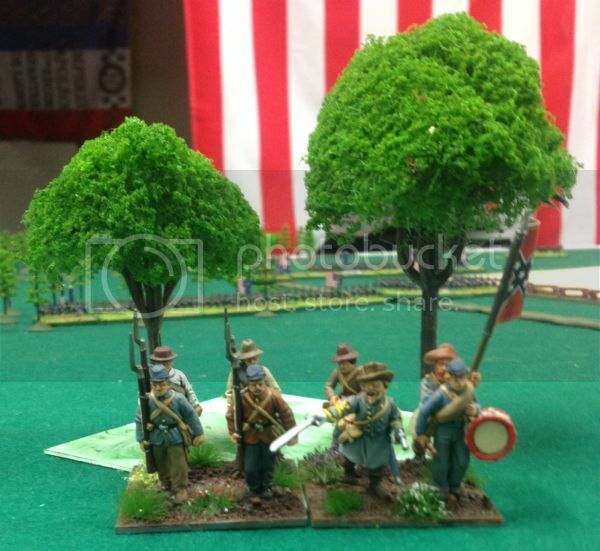 First two 28mm trees based and ready the rest of this batch now fixed to bases and drying. 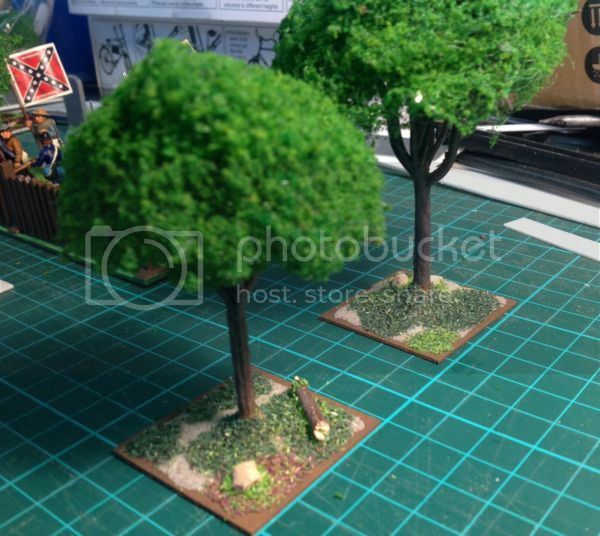 To base these I went with 4cm squares of 1mm styrene (3cm would have done I think), I drilled a guide hole in the centre and then fixed the trees to them witha 'blob' of Milliput. Most of these are 10cm high I'll get a just few 12cm ones and a few more 10cm in a lighter colour for variety and all done! I think they look spot on.